How a small group of people stood tall for the lowly honey bee. Jeff Dinsmore, Judy Chucker, Patricia Houser, and Lu Harland. At the end of December 2013, a group of us who were concerned about the disturbing reports we had heard about honey bee die-offs began meeting. Our group formally became known as Humming for Bees and we met at local libraries. This is our story. We decided our focus would be to educate ourselves and others, bring change to one small city, and then expand to other cities. 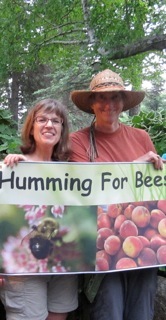 Since Patricia Houser and Jeff Dinsmore lived in Shorewood, MN, the group decided to target the town and try to pass an ordinance, banning the use of neonics. They went to countless meetings with city council members, the mayor, networking with people who were interested in helping. 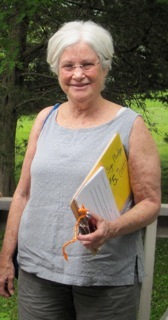 Patricia, Barbara Goodman-Fischtrom, Judy Chucker, Lu Harland, and Melissa Hochstetler spent countless hours “tabling” at special events and educating people about the problem. 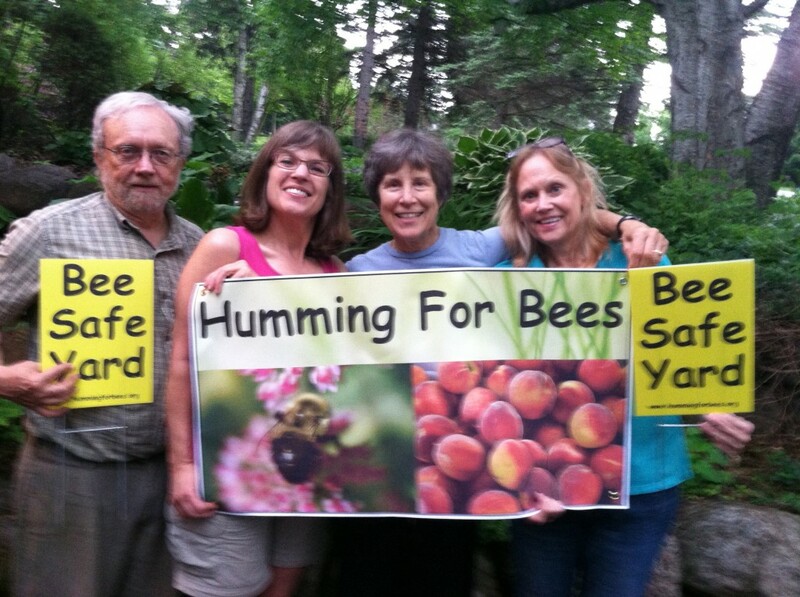 Jeff Dinsmore and others spent hours making “Bee Safe Yard” signs. The yellow signs have popped up in a number neighborhoods. 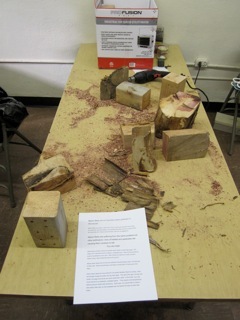 All of this work, has made a difference. 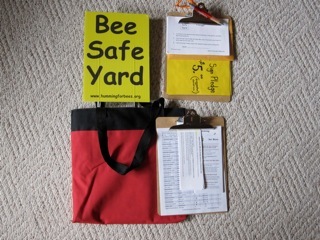 Last month, on July 28, 2014, the Shorewood City Hall passed, “A Resolution Endorsing ‘bee-Safe’ Policies and Procedures”. In the growing movement to better protect honey bees, Shorewood has become the first city in Minnesota — and, leaders say, the third city in the nation — to pass a policy encouraging the planting of bee-friendly flowers and restricting certain pesticides. Becoming a beekeeper, I realized more and more, the huge importance of bees and pollinators in our environment and food production. With the current, and dominant methods for pesticide use in agriculture and even less controlled use in our urban/suburban environments, there must be a shift in practices to ensure our health and the vibrancy of our environment. With all of the research we were doing on honey bees and pesticides, Jeff Dinsmore took on the task of creating a website that was a resource for like-minded people. 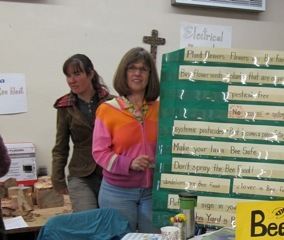 The website includes “bee-safe” nurseries, good plants for pollinators, the latest information on pesticides and honey bees. 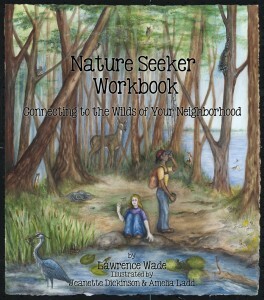 (Go to: www.hummingforbees.org/). Probably the best resource we found was the TED talk by Marla Spivak, from the U of MN Bee Lab (go to: www.ted.com/talks/marla_spivak_why_bees_are_disappearing). 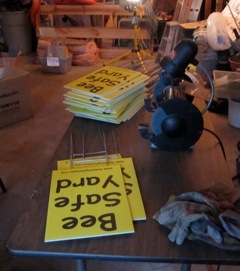 Barbara Goodman Fischtrom getting ready to go door knocking with Bee Safe Yard signs! 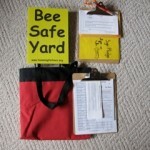 Door-knocking kit with “Bee Safe Yard” signs. One thing we learned is that most agricultural seeds, including corn, soybeans, and sunflowers are treated with neonics. Alternately, most bedding plants and perennials supplied from commercial nurseries are sprayed with neonics to survive shipment and assure good presentation at retailers. Neonics are a systemic pesticide. As the plant grows, its roots, stems, leaves, and flowers hold the insecticide and the plant remains toxic (for a long period of time) to any insect that uses the plant, pollinators included. So if you want to purchase a plant that pollinators would visit, there is a good chance that the plant was treated with a neonic. 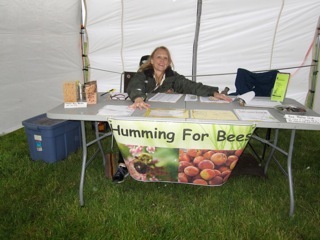 “Humming for Bees” decided to query retailers and nurseries, and express the need to purchase neonic-free plants. There are nurseries and garden centers that have either been pesticide free from the beginning or are now talking with their growers and suppliers about the history of the plants they are buying. This is not easy and in some cases impossible. It’s hardest to determine the history of bulbs and cutting-grown plants because they come from all over the world and often have gone through multiple distributors before arriving in the U.S. Some venders are refusing to buy plants (annuals and perennials) that have been treated with neonics. 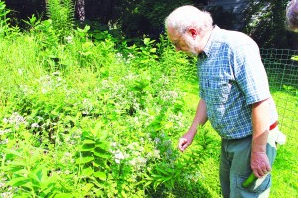 Some are planting their own organic seeds and refusing to use any neonics on them during the growing process. Many are still accepting and selling plants that have been treated with neonics and in some cases are still using neonics on their own plants. This is why you should “Ask B4 U buy”. Most nurseries are concerned about this serious issue. “The neonic problem is much bigger than the plight of the honey bee–a complex issue not limited to pesticides–upon which a third of our food depends. Historically, birds have not faired well with pesticides. This new class of pesticides is no different. Had any bird the size of a blue jay, grabbed just one neonic-coated kernel of corn, or scratched the dirt to uncover a kernel, that would have been its last supper. While smaller seeds such as wheat treated with the neonicotinoid, Imidacloprid , may also kill a bird. In addition, it takes only 1/10th of a corn kernel to interfere with reproduction during the egg-laying season by any of the neonicotinoids. 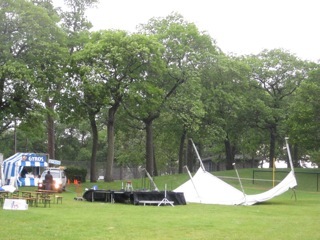 One of the tents collapsed due to wind at the Art on the Lake event. groundwater contamination worldwide at levels that exceed those necessary to kill many aquatic invertebrates. With a report due in 2016, Morrissey’s work, suggests that prairie wetlands surrounded by croplands such as corn and soybeans have higher concentrations of neonicotinoids. Mineau has suggested elsewhere that grassland birds are in decline more from pesticide use than from habitat loss. For me, it wasn’t so much about “saving the bees”, as it was about changing our attitudes towards how we treat the Earth. I was continually inspired by the commitment of our bee group and thankful to be around people who worked so hard to make a difference. This entry was posted in Birds, Insects, Nature Guardians. Bookmark the permalink. Good article and resources. Thank you for your good work all!